The ultimate user's manual to green building materials To properly select and specify green building materials, successful architects need authoritative, real-world advice on how to select and use nontoxic, recycled, and recyclable products, and how to integrate these products into the design process in order to capitalize on the many practical and economic advantages of «going green.» Green Building Materials, Third Edition is the most reliable, up-to-date resource to meet today's green building challenges—from reducing waste and improving energy efficiency to promoting proper code compliance and safeguarding against liability claims. Written by two nationally known experts on green building methods and materials, Green Building Materials, Third Edition offers in-depth, practical information on the product selection, product specification, and construction process. 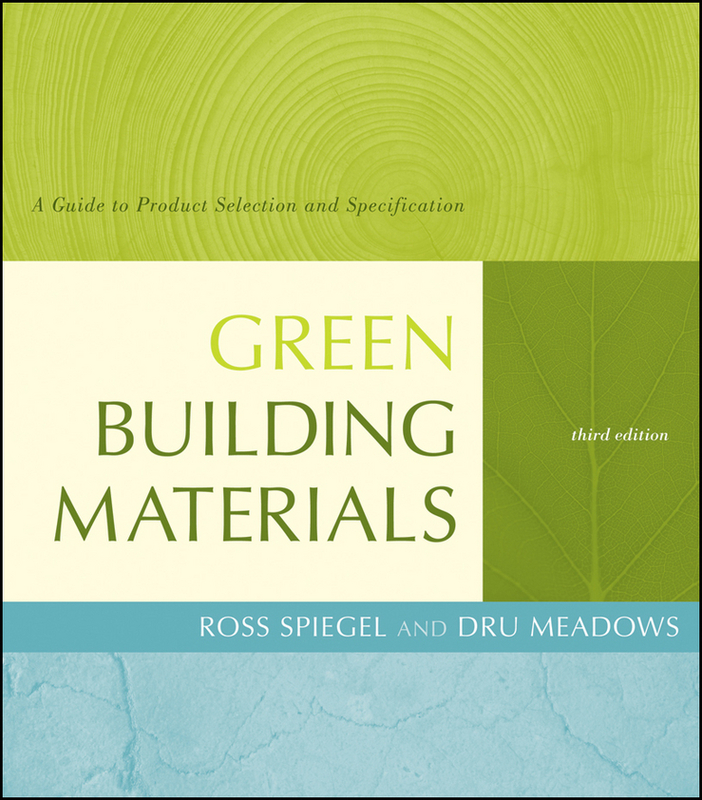 This new Third Edition is an excellent hands-on guide to today's newest range of green building materials: what they are, where to find them, how to use them effectively, and how to address LEED requirements. Organized by CSI MasterFormat® category for fast access to specific information, it features: A new chapter on eco-labels, green standards, and product certification A new appendix providing reference information for sustainability standards and standards development organizations New sample specifications, including green power requirements, vegetated green roof systems, rainwater harvesting, and water reuse systems Revised and updated review of trends affecting the future of green building materials Updated approach and reference information for the product selection process Green Building Materials, Third Edition is an essential tool for designing environmentally friendly buildings—ones made from materials that preserve the Earth's natural legacy for future generations.